(SPOT.ph) Remember when McDonald's Malaysia took social media by storm with their McFlurry With Milo? 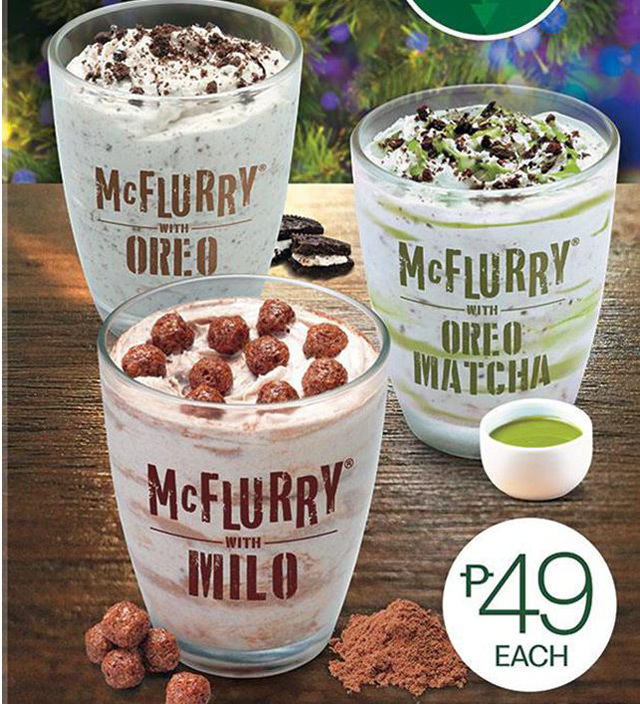 There's no need to be jealous anymore because our own McDonald's has finally brought the treat to Manila for P49. 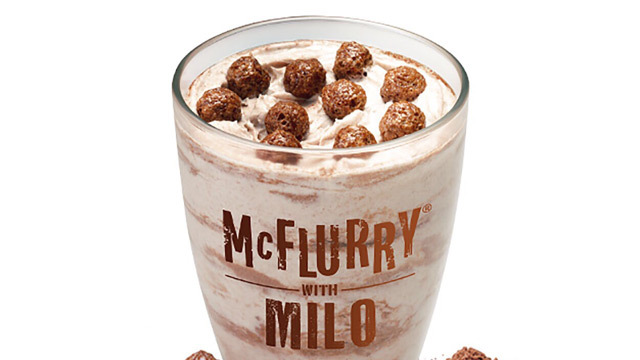 The Milo McFlurry features vanilla soft-serve blended with Milo powder for lots of malty goodness and is then topped with Milo Cereal balls for added crunch. 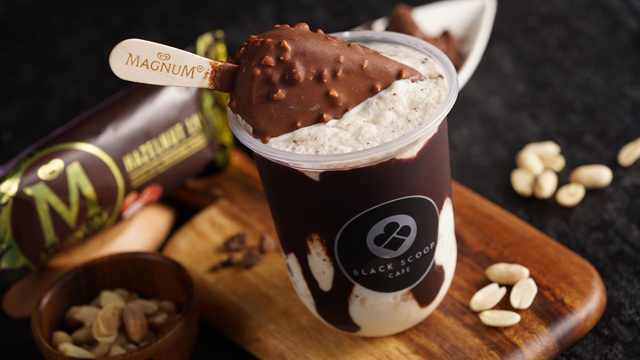 Aside from the new McFlurry, McDonald's is also launching three new syrups for their Sundae Your Way stations: Buttercream, Cookie Dough, and Hazelnut Brownie. Don't really have a sweet tooth? 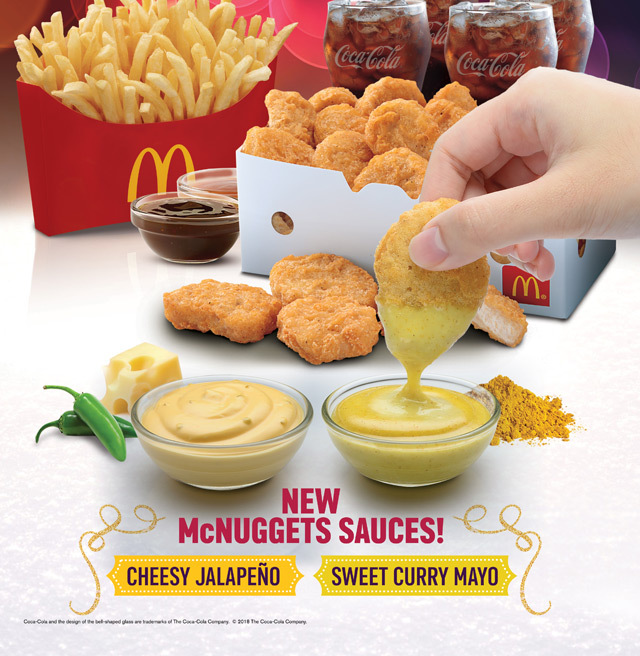 McNuggets fans also have something special in store for them: Two new sauces! There's the Cheesy Jalapeño with cheese and a kick of heat, and the Sweet Curry Mayo that has the right amount of sweet, spicy, and tangy. 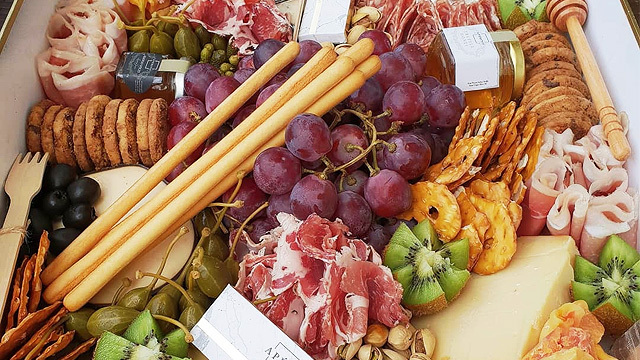 You can get any (or both!) with your next McNuggets order.